A unique opportunity to see these majestic sharks up close! 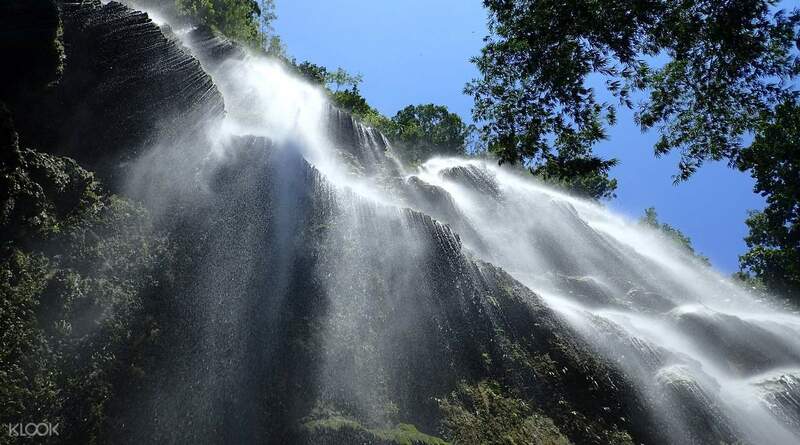 After your whaleshark experience, you may opt to climb up the amazing Tumalog Falls! Traveling solo? 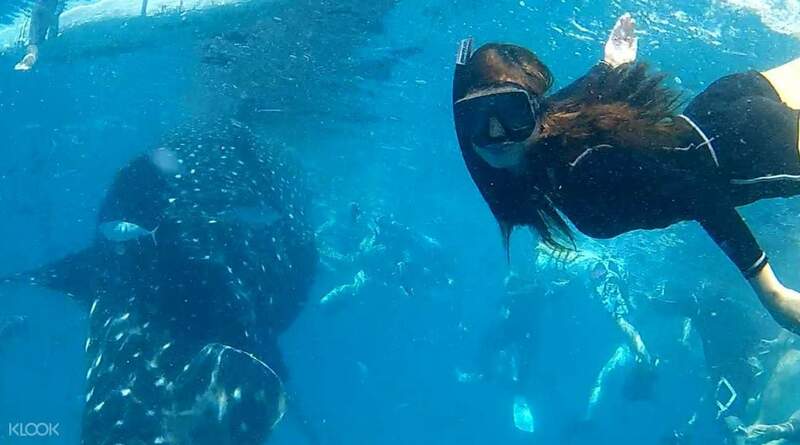 Go on an adventure with new friends on Klook's Oslob Whale Shark Watching Join In Day tour! Ready for an adrenaline rush? Travel via private car charter to Oslob where you'll get up close to the friendly whale sharks on your trip to Cebu. This slow-moving filter-feeding carpet shark is one of the largest known fish species - and a true sight to behold. 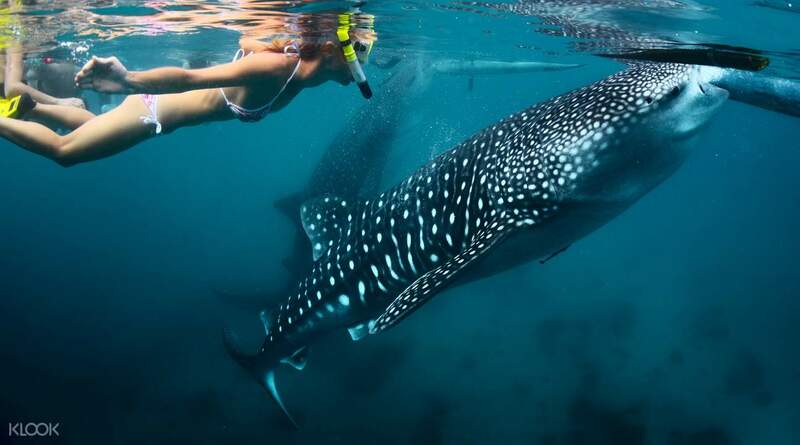 On the trip, you will not only get to snorkel and swim with the whale sharks, but also participate in the feeding. You will need to wake up bright and early for this adventure and get to your hotel lobby in time for your 5:00am pick up. The trip starts with a scenic drive along the Southern Cebu coastline. Once you arrive in Oslob, get your snorkeling gear (provided if you select the Snorkeling and Swimming Fee add-on) and hop in the water for your whale shark encounter. 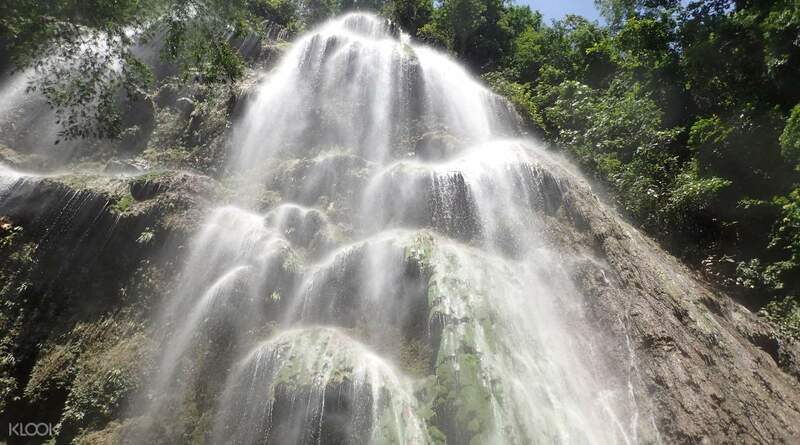 Afterwards, you can opt to discover the hidden gem that is Tumalog Falls, and then enjoy lunch at your own expense, before heading back to your hotel. Pick up was on time at 5am from our hotel. We slept & rest well in the comfort of the sedan car during the 3 hour long ride to Olsob. The tour was well organised; we met up with a guide who first organised the whale shark watching for us (it was certainly v v v crowded) and having a guide helps to navigate through the Chinese New Year crowd. Pick up was on time at 5am from our hotel. We slept & rest well in the comfort of the sedan car during the 3 hour long ride to Olsob. The tour was well organised; we met up with a guide who first organised the whale shark watching for us (it was certainly v v v crowded) and having a guide helps to navigate through the Chinese New Year crowd. It’s a great one! Driver reached before the meeting timing even though we didn’t contact each other before hand! Introduce lot of places to visit, very impressive of their services! It’s a great one! Driver reached before the meeting timing even though we didn’t contact each other before hand! Introduce lot of places to visit, very impressive of their services! It was my first booking with Klook and it was hassle-free. The booking was confirmed instantaneously and the driver turned up on time. It was worth waking up early (pick up at 5am) to see the whale sharks! Truly amazing experience! It was my first booking with Klook and it was hassle-free. The booking was confirmed instantaneously and the driver turned up on time. It was worth waking up early (pick up at 5am) to see the whale sharks! Truly amazing experience! The tour is good! The only problem is that you need to get ready yourself to stay in the car for totally 7.5 hrs, 3.5hrs outbound and 4hrs inbound. We spent 60mins for whale shark and 30mins for the water fall, and 60mins for breakfasts. This made the tour in 10hrs! But the Whale-shark watch experience was fabulous!!! The tour is good! The only problem is that you need to get ready yourself to stay in the car for totally 7.5 hrs, 3.5hrs outbound and 4hrs inbound. We spent 60mins for whale shark and 30mins for the water fall, and 60mins for breakfasts. This made the tour in 10hrs! But the Whale-shark watch experience was fabulous!!! It’s was running to see those magnificent creates up close. The falls is fairly good and has less-no water during summer. The ride along the coast itself is a rewarding experience. It costs an additional ~$20 for the fuel which I wish was listed clearly. It’s was running to see those magnificent creates up close. The falls is fairly good and has less-no water during summer. The ride along the coast itself is a rewarding experience. It costs an additional ~$20 for the fuel which I wish was listed clearly. This tour is expensive! On top of the ₱2900 you will shoulder all the other expenses which some could have been inclusive in the package, breakfown as follows: ₱ 800 - car rental; ₱1150 - gas; you’ll load the car back to accommodation; ₱500 - snorkling fee; ₱50 - habal habal to Tumalog Falls which is walking distance (dont take habal!) I dont even know where that ₱2900 is all for. Good thing I had a very assisting driver and breathtaking views and experiences... also, I was assisted to go straight canyoneering (separate fee, of course) since tour only takes 3 hours. This tour is expensive! On top of the ₱2900 you will shoulder all the other expenses which some could have been inclusive in the package, breakfown as follows: ₱ 800 - car rental; ₱1150 - gas; you’ll load the car back to accommodation; ₱500 - snorkling fee; ₱50 - habal habal to Tumalog Falls which is walking distance (dont take habal!) I dont even know where that ₱2900 is all for. Good thing I had a very assisting driver and breathtaking views and experiences... also, I was assisted to go straight canyoneering (separate fee, of course) since tour only takes 3 hours. Q: If I have to catch a ship to Bohol after the whale shark experience, can the driver take us directly to the pier instead of our hotel? A: Yes, the driver can bring you to Argao or Cebu Port to catch boat going to Bohol. Q: Can driver pick up travelers from the airport? A: Yes, customers may be picked up from the Mactan International Airport. Please provide flight details for operator's reference. Q: How will fuel fees be calculated?